No one wonders why bands still love to cover “I Wanna be Your Dog” in 2014. In fact, even in its much tamer studio version, The Stooges’ feedback-heavy force of a song still out-fought most hard-rockers in ’69, only being outdone by Detroit brothers The MC5. It’s a blistering piece of proto-punk, one that set the stage for any outlandish, fuzzed-out guitar line that would follow in a garage, and Iggy Pop’s unforgettable wails—“Now I wanna be your dog!”—can’t be unheard. “I Wanna Be Your Dog” by The Stooges is one of the nastiest, filthiest, sexiest rock blasts of all time with its repetitive and monstrous guitar drone, Iggy‘s horny barks and that single-note piano riff played by producer John Cale (then member of The Velvet Underground). The single was released back in 1969 and a couple of decades later Sonic Youth played a S-H-A-T-T-E-R-I-N-G live version on some American TV Show with a bunch of crazed guests, including a far-out saxophonist and… a mental flutist. “I Wanna Be Your Dog” is a 1969 song by the American rock band The Stooges. The song is included on their self-titled debut album. Its memorable riff, composed of only three chords (G, F♯ and E), is played continuously throughout the song (excepting two brief 4-bar bridges). The 3-minute-and-9-second-long song, with its raucous, distortion-heavy guitar intro, pounding, single-note piano riff played by producer John Cale and steady, driving beat, established The Stooges at the cutting edge example of the heavy metal and punk sound.The song notably uses sleigh bells throughout. John Cale has announced details of a major open-air gig in Liverpool next year to celebrate the 50th anniversary of The Velvet Underground & Nico. The show at Liverpool Docklands on 26th May is the only European date for Cale’s celebration of the Velvet Underground’s iconic debut LP, with the album to be played in full alongside a specially assembled band at a purpose-built stage facing towards the Atlantic Ocean. Widely regarded as one of the most influential albums in history, The Velvet Underground & Nico will only be played again in full at one further show in New York. 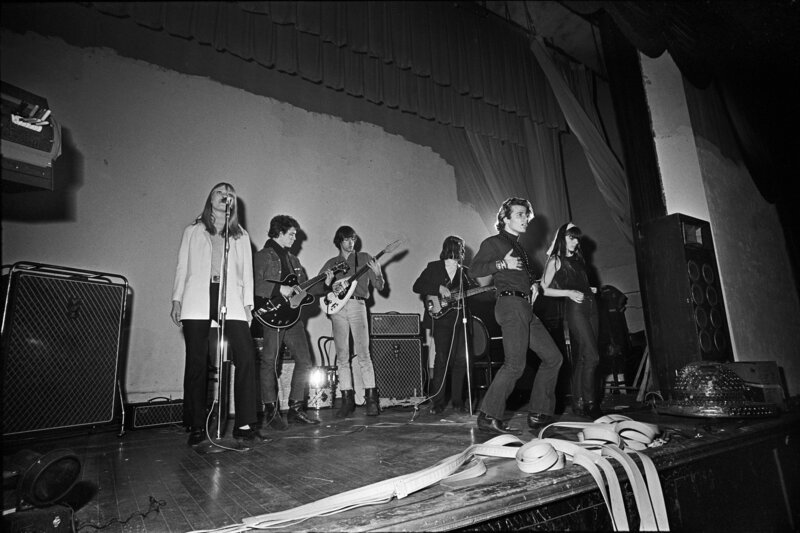 Announcing the gig, Cale said: “I’m often reluctant to spend too much time on things past – then, a time marker shows up – The Velvet Underground & Nico turns fifty! As so many bands can attest to, it is the fulfillment of the ultimate dream to record your first album. 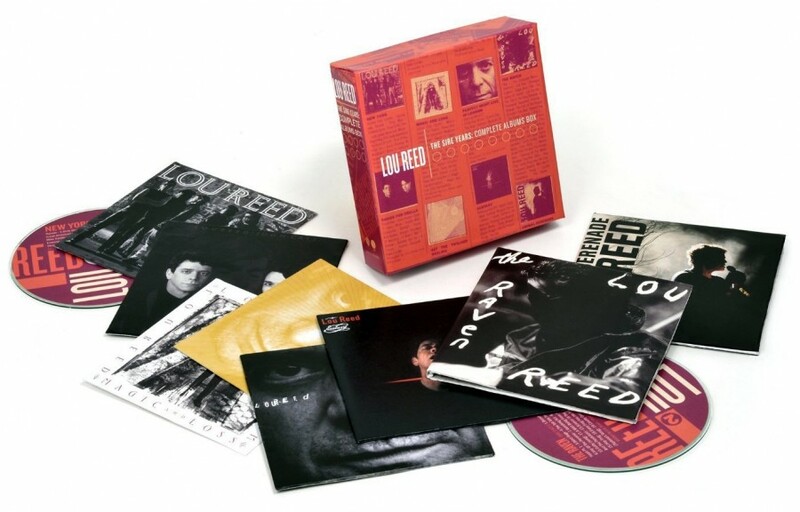 Lou Reed / The Sire Years: Complete Albums box / 10CD set, Rhino are to release a new Lou Reed CD box set that collects the eight albums released on the Sire label during a period that spanning almost a quarter of a century. The Sire Years: Complete Albums box kicks off with 1989’s spectacular New York album, and the rather underrated follow-up Magic and Loss. 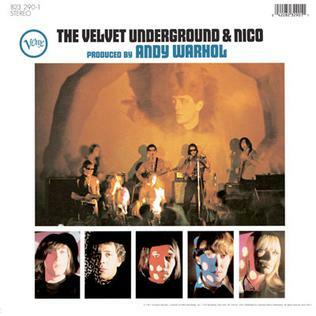 Sandwiched in between is Songs For Drella, Reed’s collaboration with Velvet Underground mucker John Cale. That trio is the rock solid foundation for a set which also includes the last two ‘proper’ studio outings (Set the Twilight Reeling and Ecstasy) but also takes in Perfect Night in London – Reed’s acoustic live album recorded during the Meltdown ’97 festival – and the two-disc version of The Raven. Another live album, Animal Serenade (also double disc) completes the box set. The Sire Years: Complete Albums is packaged in a clamshell box and is good value at under £3 per disc. No remastering for this set – it uses the most recent masterings available and no bonus tracks. If you are looking to explore Reed’s solo work of this era, but aren’t interested in live material (and can live without The Raven) then the five-CD Original Album Series set highlighted here might be a better option. And it’s about 50 percent cheaper in terms of per-disc price. The packaging will be inferior though. The Sire Years: Complete Albums is released on 30th October 2015. 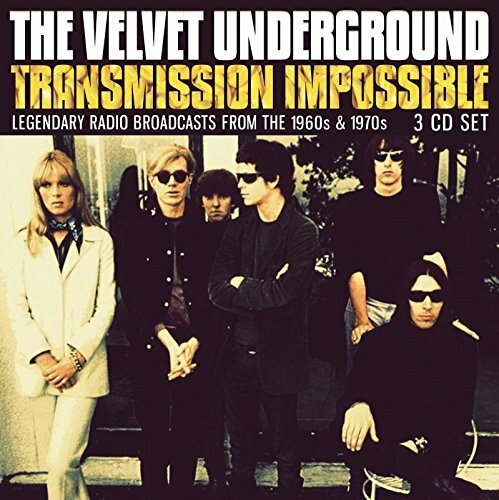 The Velvet Underground releases “The Complete Matrix Tapes” collects recordings made at San Francisco club the Matrix on November 26th and 27th, 1969. As previously reported, the four-disc box set will be released November 20th via Polydor/Universal Music Enterprises. Including a previously unreleased recording of “We’re Gonna Have a Real Good Time Together”. 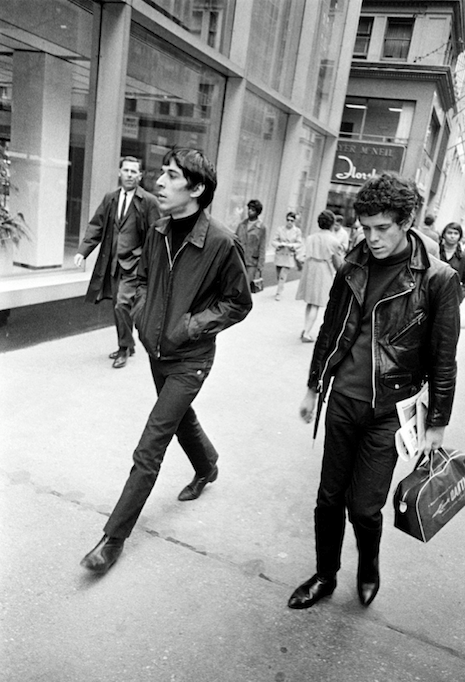 By September 1968, Lou Reed was hell-bent on kicking John Cale out of the Velvet Underground. Reed and Cale started the band, but after two albums, Lou was no longer interested in working with the Welsh musician. It’s always been unclear as to why Lou Reed felt this way, but the most plausible reason is that he sought to make the Velvets more accessible, while John Cale wanted to keep one foot in the avant-garde. Regardless, in late September, after what would turn out to be Cale’s final concerts with the group, Reed met with drummer Maureen Tucker and guitarist Sterling Morrison and gave them an ultimatum: Either Cale goes or the band is finished. Reluctantly, Tucker and Morrison agreed to sack Cale. But with Cale’s exit and upcoming concerts scheduled for the first week of October, a replacement needed to be found—and fast. Doug Yule, a Boston musician who was friendly with the band, was quickly brought into the fold. Yule would have to swiftly learn a set of songs, many of which he hadn’t heard before because they hadn’t been released yet. He made his way to New York City to rehearse for shows booked at a small venue in Cleveland called La Cave. 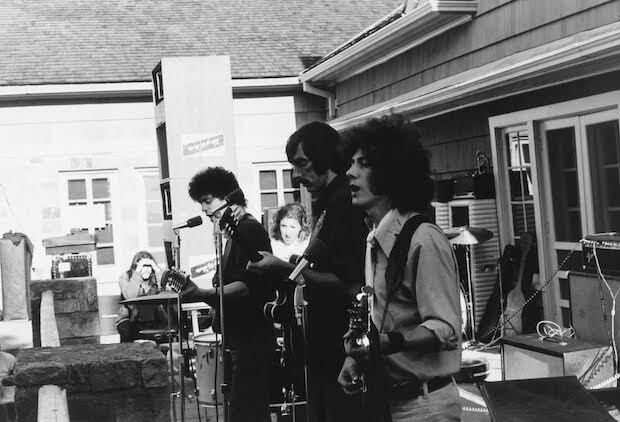 Yule’s first gig with the Velvets is usually cited as having taken place on October 2nd, though in his exhaustive book, White Light/White Heat: The Velvet Underground Day-by-Day , author Richie Unterberger writes that Yule’s debut was October 4th. Either way, the band’s new member had little time to prepare. 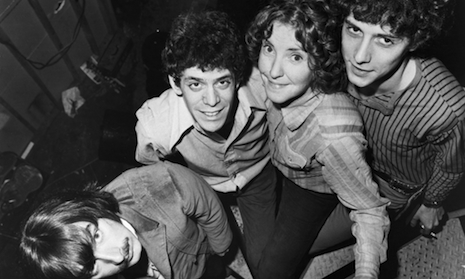 The Velvet Underground played two sets that first night in Cleveland with Yule, and thanks to recordings which were subsequently bootlegged , we can hear what they sounded like during this historic show. Incredibly, Yule already appears to be a good fit. He’s obviously up for the task, coming up with interesting bass lines—even singing background harmonies—on songs that he had just learned. His harmony vocal gelling perfectly with Reed’s during a lovely version of “Jesus” is just one of many cool moments. Reed’s guitar work is also noteworthy, like during the wild and weird middle section of “I Can’t Stand It,” but it’s the track that opens the first set that takes the cake. “What Goes On” was one of many numbers played that first night that Yule barely had time to acquaint himself with (the tune would be included on their next album, The Velvet Underground , which came out the following year). There’s nothing all that interesting happening here at first (though Yule once again contributes some mighty fine harmonizing); that is, until Reed kicks off the initial solo with a fierce blast of noise. He follows up with melodic lines that resemble what would be heard on the now-familiar album take, but while the guitar tone on the LP version is psychedelic, here it’s all about volume and distortion. During the second and final solo, after a similar melodic passage, Lou lets it rip. At around the 4:52 mark, he goes into hyperactive overdrive, whipping up an atypically riotous, face melter of a solo that’s downright giddy in execution. It’s the sound of a man set free. As first-rate as Doug Yule is during his debut outing with the Velvet Underground, it’s Lou Reed who makes the performances extraordinary. His solos during “What Goes On” sound like they’re coming from a man who is positively euphoric. No matter what his motives were behind getting rid of John Cale, it’s undeniable when listening to him play how he felt about the end result. “What goes on in your mind?” I think we all know the answer here. Today marks One year since the incredible musician Lou Reed passed away, In tribute to the founding member of the Velvet Underground, John Cale has taken this song from 1982 and made a video as a fitting tribute, with thoughts to Andy, Nico and Sterling a fitting tribute from John Cale.